Search for Opinion news on SeafoodNews.com. SeafoodNews.com, the most widely read seafood industry news in North America. Why would APC lend an air of credibility to a project that would threaten our fish and our way of life, while benefiting a foreign mining company? On Wednesday night this week, the House of Representatives passed Senator Roger Wicker’s “Modernizing Recreational Fisheries Management Act of 2017,” commonly referred to as the Modern Fish Act. 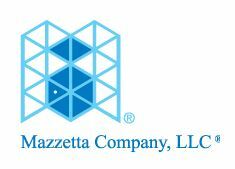 The following opinion was written by Tom Mazzetta, President of Mazzetta Company, regarding some of the issues surrounding the proposed tariffs on Alaskan seafood exported to China for Processing. The U.S. Chamber of Commerce recently announced that it would require roughly $811 million to support U.S. fishermen affected by retaliatory Chinese tariffs set to go into effect this week. Jerry McCune is the former president of United Fishermen of Alaska and the current president of Cordova District Fishermen United.